Geeky glasses still required; microwave popcorn and significant other optional. Soon you’ll be able to watch your favorite 3D horror flick in all its blood-and-guts-glory right from the comfort of your couch. The Blu-ray Disc Association announced plans to develop a standard for movies allowing consumers to see feature films in 3D at home similar to what they would experience on the big screen. Movie studios would use the high definition capabilities of Blu-ray DVDs to deliver the experience. Geeky glasses still required; microwave popcorn and significant other optional. “The 3D theatrical market has been very successful this year. We are just now seeing all of the true capabilities of 3D and with Blu-ray Disc’s superior technical characteristics, as well as the broad industry support of the format, it makes it the ideal packaged media platform for 3D home entertainment,” said Bob Chapek, President, Walt Disney Studios Home Entertainment. 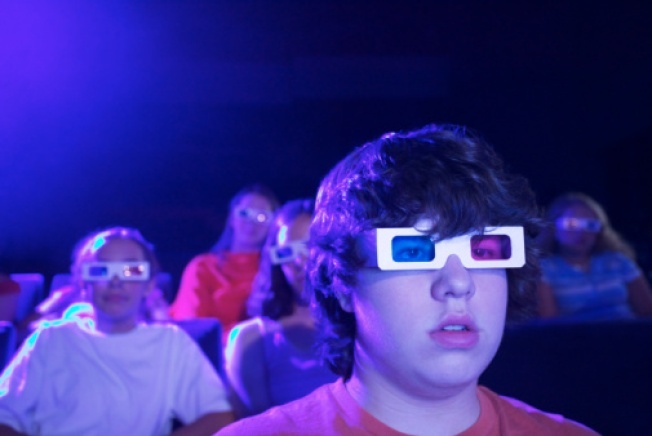 3D, a staple of scary movies in the 1980s, seems to be making a comeback. Sony announced plans to introduce a 3D television by the end of 2010, according to the Wall Street Journal. Panasonic has committed to developing a 3D television, too. ESPN announced last week that it will broadcast the USC-Ohio State college football game on Sept. 12 in 3D in select locations. NBC broadcast an episode of "Chuck" in 3D in February, and SoBe Lifewater aired a 3D commercial during the Super Bowl.